The North Face endurance athlete Jez Bragg had a fantastic race at the Western States 100 Endurance Race in California, USA on 27th-28th June. 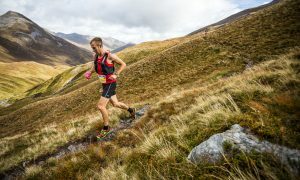 Jez finished in 3rd place – which meant he was the first and only European on the podium – a real achievement at what is one of the oldest ultra trail events in the world, and certainly one of the most challenging. The race takes place along the Western States Trail, used by the gold and silver miners of the 1850’s, from Squaw Valley to Auburn, California, USA. 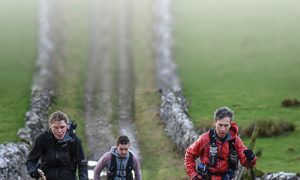 It covers remote and rugged terrain and its inaccessibility means that adequate mental and physical preparation are of the utmost importance. The beautiful and inspiring mountainous terrain is relentless in its challenge to the runner. In Jez’s words, “The race will be an epic journey for each and every one of the 450 participants …. we have all prepared long and hard for this race …. I for one have spent every day since Christmas thinking about the race …. it means so much to everyone who takes part …. an incredible place to run … a place that inspires.” Jez found his inspiration. Facing a tough field and an immense challenge he kept his motivation and excitement to run strong and show just what an incredibly talented runner he is. Jez was using The North Face Voza – a lightweight endurance running shoe, for neutral runners. 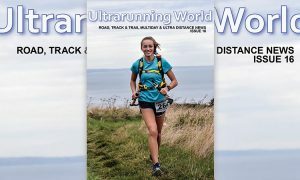 Designed to be superbly lightweight and ultra-breathable it provides both cushioning to protect against the pounding of the roads, and incredible traction for security on the trails. Jez has tested the Voza in the most challenging of conditions and it has given him the security to push his own boundaries and maximise his performance. True endurance – in part it is the physical preparation to ‘go the distance’ and in part it is the mental attitude to believe that you can go even further. As Jez says, “The only limits on your life are the ones that you set yourself”. 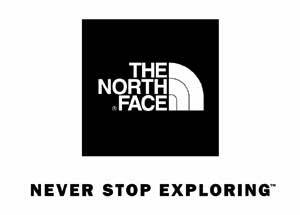 Follow his example – take the challenge to live the philosophy of The North Face and never stop exploring.